Ayni Peru is very happy to announce that we are now offering several new tour and trek packages, which includes the most sought-after tour too – the Rainbow Mountain Peru Tour package. 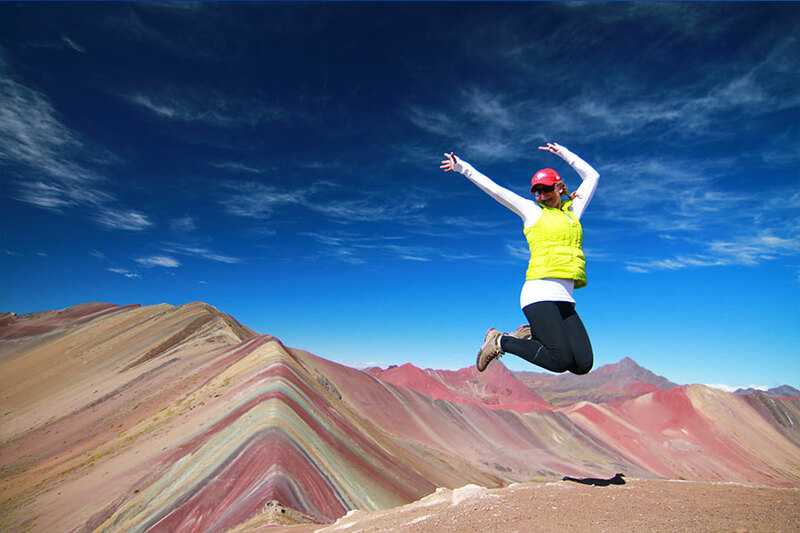 Vinicunca is a beautiful area of hills and mountains striped with a rainbow collection of colors that is an increasingly popular Cusco trek destination. Nestled in the Vilcanota mountain range, it is just 3 hours from Cusco. 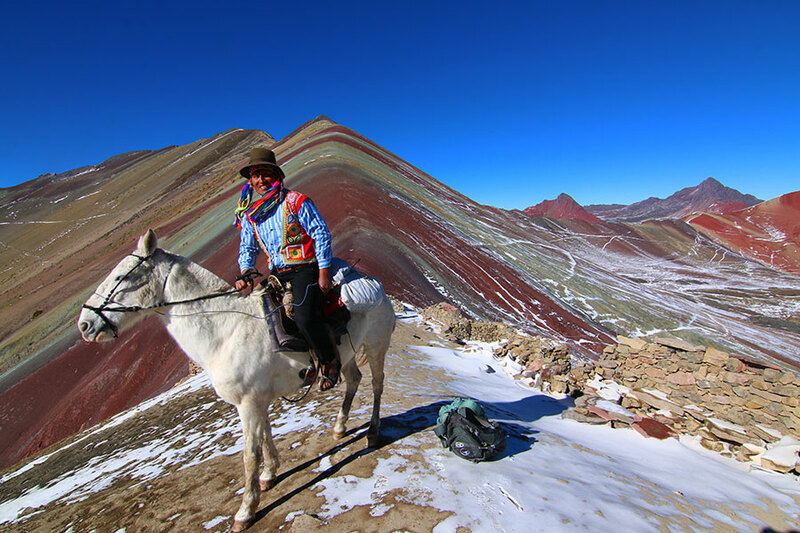 The Rainbow mountain Peru height starts from 4,326 meters and goes up to a maximum altitude of 5,200 meters. While accessible on foot only, it is possible to arrive in as little as a few hours, or on a remote, multi-day trek route that covers some of the most beautiful natural scenery in all of Cusco. For anyone very short on time and already acclimatized, the Vinicunca in Peru can be visited as a day trip from Cusco. However, this is a long and tiring day, with car trips lasting several hours in each direction and hours of physically challenging trekking. Our recommendation is to allow time for an overnight trip at the minimum, which provides more time to enjoy the gorgeous scenery, break up travel time, and leave some of your tourism dollars in local communities. Because an overnight trek requires camping and meals, a local muleteer and cook will be hired. 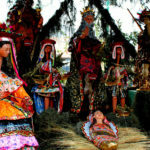 We’ll spend time with families in the area and bring along fruit, coca leaves, and small toys as gifts. With at least four days available, Vinicunca tour packages include the Ausangate Vinicunca trek is an unforgettably beautiful experience. 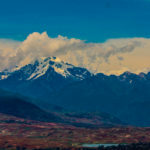 Routes that include some or all of the famous Ausangate circuit with a visit to the Vinicunca Mountain in Peru ranges from 4D/3N to 6D/5N, and features enormous snow capped mountains, glaciers, colorful lakes and tiny traditional communities. Ayni Peru offers daily private departures for all Ausangate and Vinicunca trek routes, and group departs for select dates (please enquire for our group departure schedule). Comfort upgrades are available, which include a -15C sleeping bag, thick air mattress, pillow, hiking poles, the solar lantern for your tent, and wine served with dinner each night. This looks amazing! I will be in Cusco in August and cant wait to visit.